Here it is at last, my first new painting for 2014, Stone of Knowing. 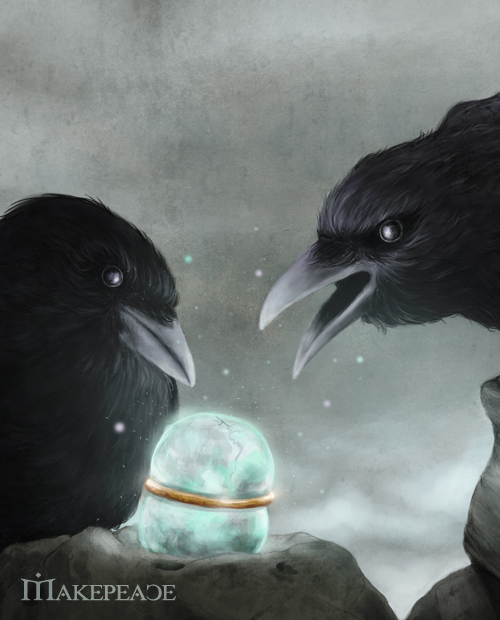 Since I began sharing tidbits about this painting I’ve been asked whether these ravens are actually Huginn and Muninn–Odin’s ravens from Norse mythology. While I didn’t intend for them be I think my subconscious had other ideas. Thought and Memory find a Stone with the power to control a person’s mind. Seems apt or maybe serendipitous, either way I approve! I want to thank everyone who supported me with their kind comments during the creation of this painting. You guys are the best! Prints for the painting and the original pencil drawing will be in my Etsy shop next week. Here’s a slideshow of the painting from start to finish. 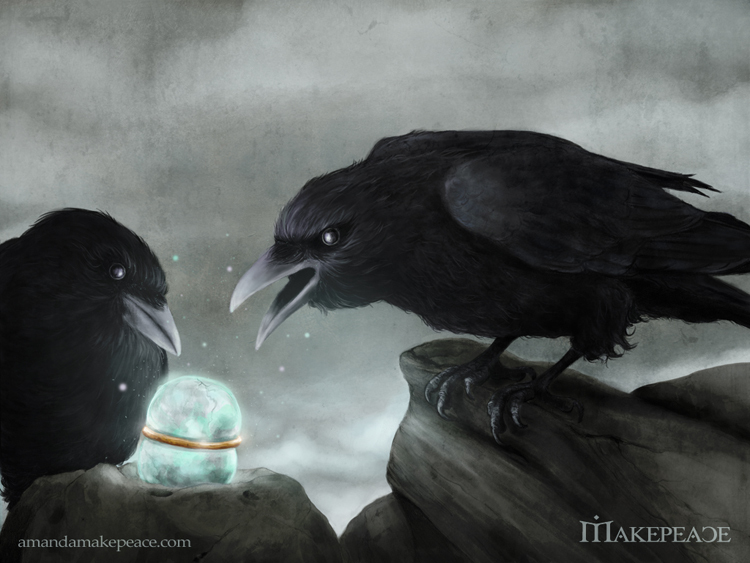 Tagged digital painting, fantasy art, huginn and muninn, magic, makepeaceart, mythology, ravens, Stone of Knowing.